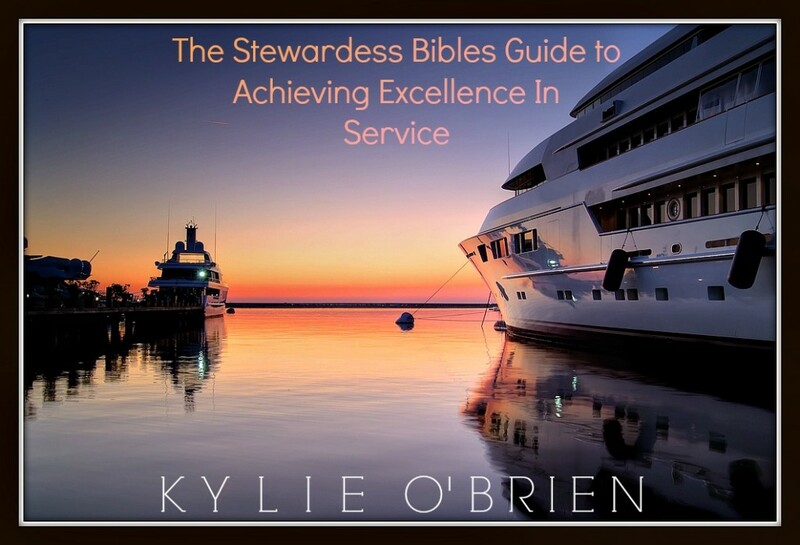 The following article is an excerpt from the new book: ” The Stewardess Bibles Guide to Achieving Excellence in Service” by Kylie O’Brien. We’ve talked about the fun aspects of working on a Superyacht, so lets just for a minute look at what the work actually is. 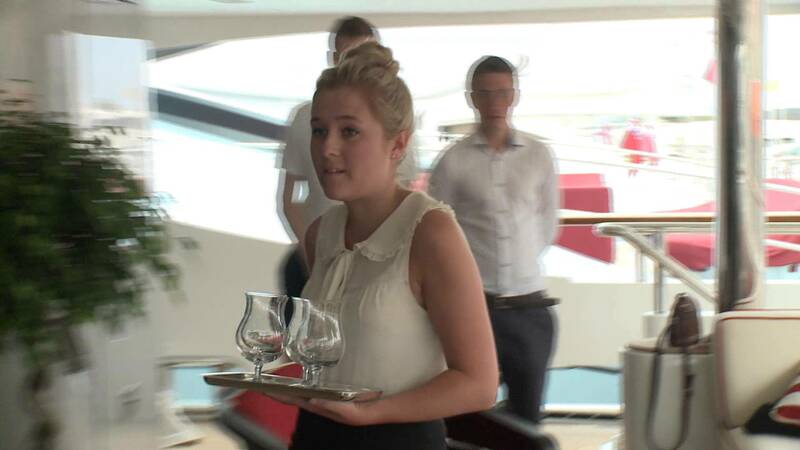 As a Superyacht stewardesses your job description is basically domestic help. Yes I know many people do not like the idea of being called domestic help especially those who have good educations; however , cleaning, serving, and taking care of someone’s personal effects is in essence domestic work. You can find traces of domestic workers way back in history, however from the point of this chapter we will focus on the period from the mid 1900?s where the business of household domestic staff was booming in both Europe and in North America. The conditions faced by domestic workers has varied over the years and from household to household. Traditionally people who took on the work as a domestic worker came from poorer socioeconomic situations, and depending on the individual’s skill set would evolve into a hierarchical system. Individuals would get paid for the services that they performed, however with no real legal protection many were taken advantage of. The only real advantage of becoming a domestic worker was on the provision of food, clothing accommodation and a modest wage. Service was based on an apprenticeship system with room to advance over time through the ranks. 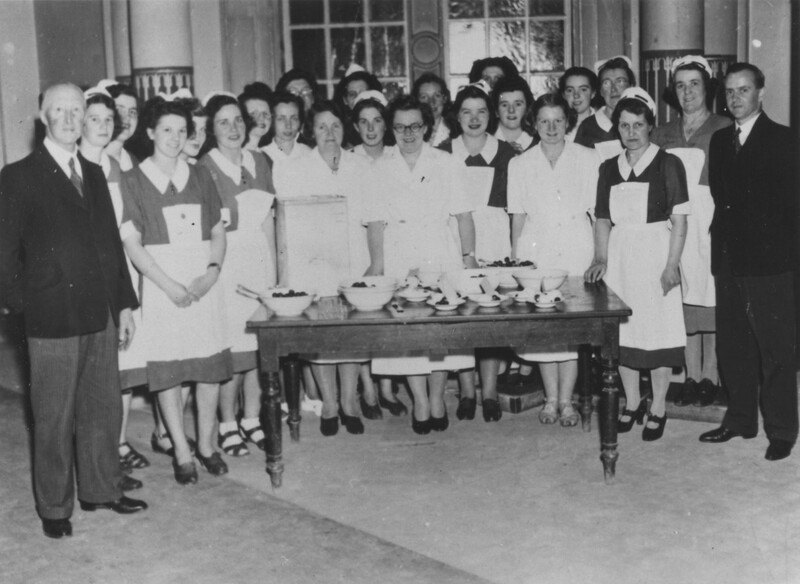 Domestic servants were divided into upper and lower classes. Historically most household servants lived within the house, in an allocated area usually called the staff quarter. The accommodation was often substandard accommodation. I.e. The kitchen, the basement or in the attic. They wore simple yet presentable clothing and it was not uncommon for workers work between 16-18 hours a day. So how does the super yacht industry compare to the above historical overview? Well many aspects of historical service still may be applied to the super yacht industry, however the notable difference lies within the people involved; both the owners of the yachts, and the staff who crew the yachts. Whilst a limited amount of research has been done on this topic I will rely on my own experience and personal thoughts hypothesize the differences. Owning a super yacht requires a great amount of wealth, a super yacht is very visible, very public. A super yacht is international a thing of beauty to be shown off the rest of the world. Therefore many owners of super yachts want beautiful people top to match their beautiful yacht. In addition to the ‘ego side’ of owning a super yacht and Unlike the domestic work force who have very little if any legal right at all to rely on; the super yacht industry is protected by strict rules and regulations under international maritime law and as such has industry standards to adhere to. Such as salary standards, and work regulations, and accommodation standards. The staff who crew these amazing vessels are very different from traditional domestic workers. In general they come from wealthy Western countries and are highly educated. They generally flock to the docks of the Mediterranean sea and USA Florida, in search of travel, sunshine and good salaries. In addition to this the super yacht industry has incredible high standards and as such offer many training programs, which ensure that the crew on board are highly skilled, trained, efficient workers. 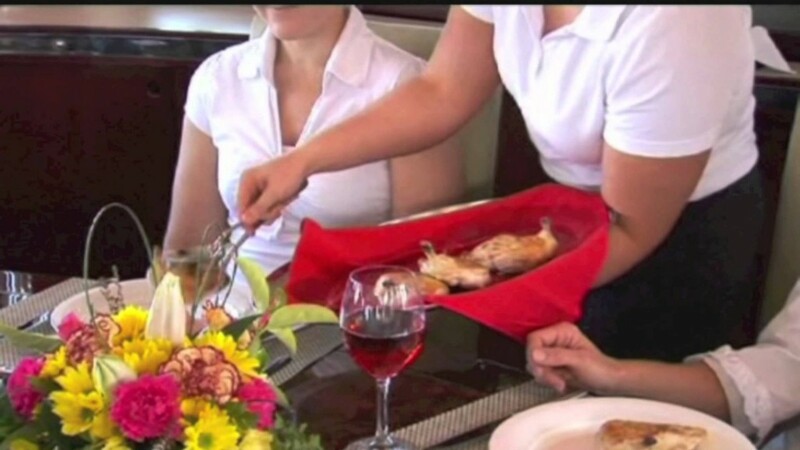 Furthermore I believe this to be the main difference between historical domestic workers and super yacht crew;. 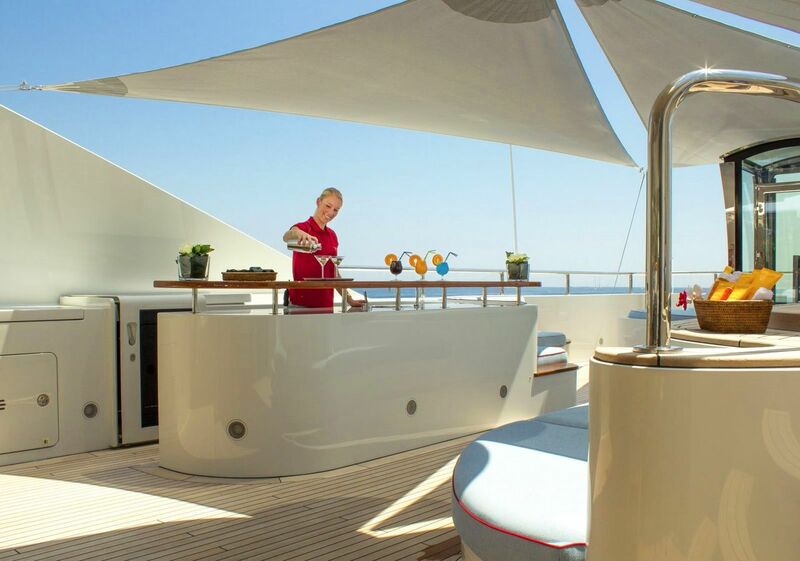 Professional yacht crew make a conscious choice to work in domestic service. They are not forced to work in service if they chose not to. This makes a huge difference in their self esteem, personal development and career advancement, resulting in high standards and excellence in service. A few years ago I was hiring new crew in Antibes France for the upcoming Mediterranean summer season. I required 2 new junior stewardesses. The salary on offer was 2500 Euro per month, plus the usual medical , 1 month paid holiday and 1 economy class return flight home per year. Throughout the season I had to constantly reprimand one of the stewardesses. She was new to the yachting industry, so had absolutely no experience. Training and support were consistent and ongoing, however I was met with a barrage of belligerence, criticism, tiredness, tardiness and laziness. After some time the summer was going ok, the interior team of 4 was settled in and getting on with the tasks at hand. One day the 4 year experienced Phillipina stewardess came to me in tears after a personal incident which recently occurred at home. After a quiet conversation I was horrified and appalled to find that she was being paid only $500 per month. To end the story without further deliberation, the captain rectified the situation with the management company, The Phillipina stewardess was paid $2500 per month her personal situation at home was helped and I had to be satisfied with the outcome. I say satisfied because one stewardess was hard working , Keen to learn, had years of experience and was a pleasure to be around. On the other hand I had to deal with what was like a temperamental teenager who would throw a tantrum at any given moment, and who was paid more simply because of the color of her skin and the way she looked. This made me think of the injustices in the world and how far has domestic service really come over the years?